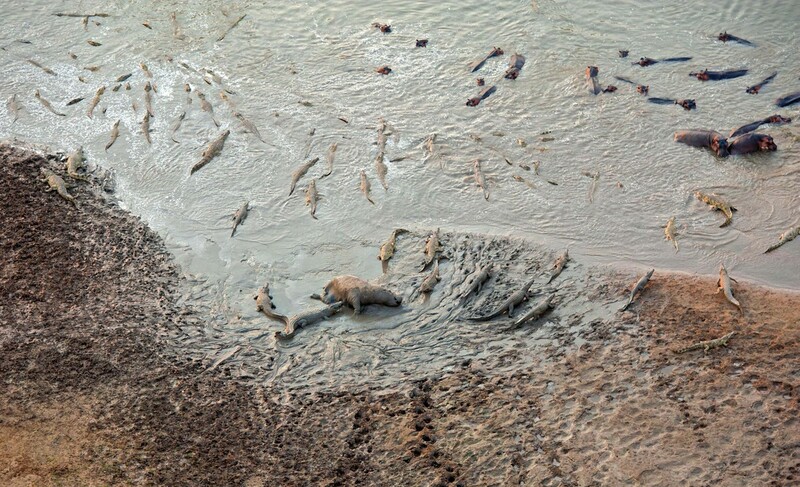 Herd Of Hippos Faces Off With Hundreds Of Crocodiles In Epic Battle Of The Beasts. | Ready, Set, Bored! 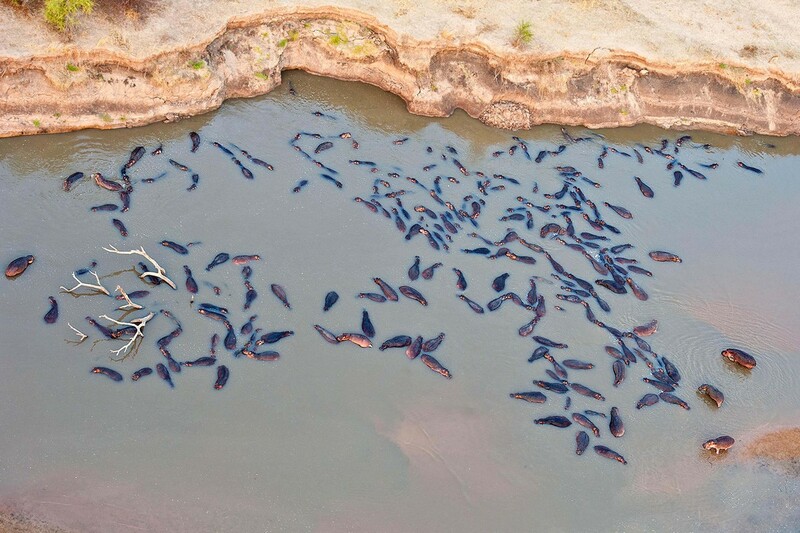 Home Nature Herd Of Hippos Faces Off With Hundreds Of Crocodiles In Epic Battle Of The Beasts. 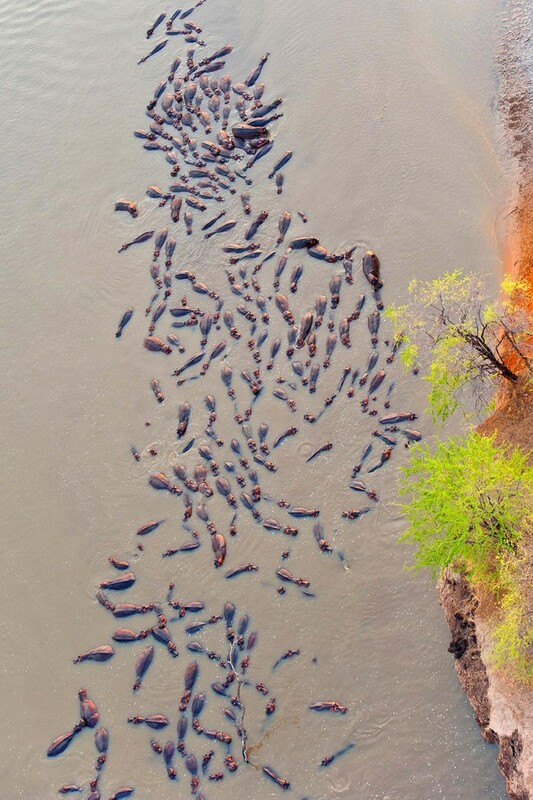 This epic standoff was captured by photographer Marc Mol in 2011 during a trip over Zambia’s South Luangwa National Park. 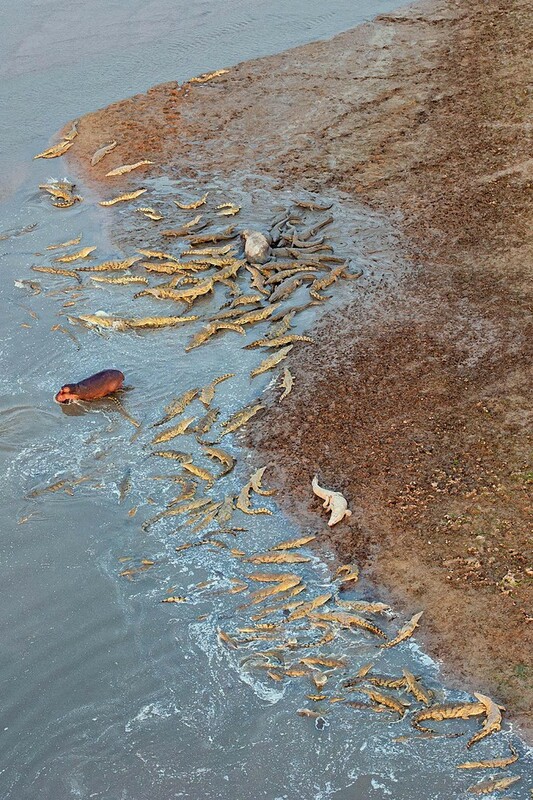 Mol was taking a microlight flight early in the morning when he and his copilot saw more than 140 crocs feasting on a dead hippo. 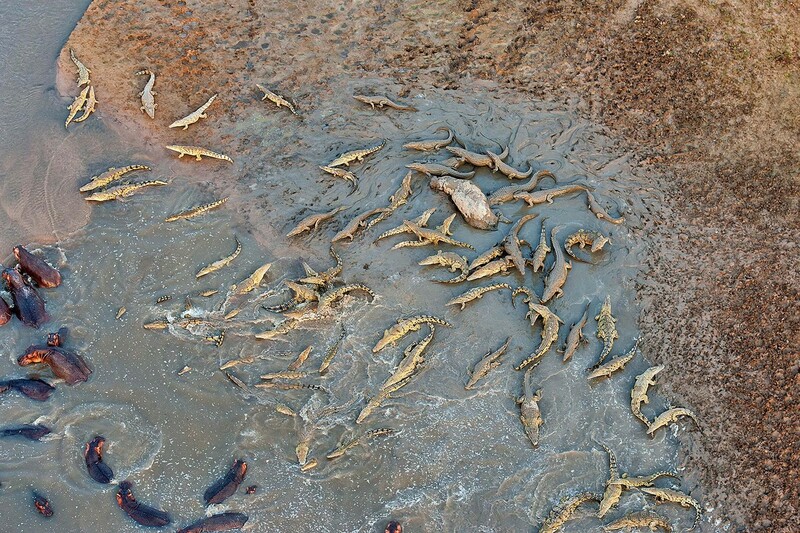 The animal’s herd quickly fled the scene as the hungry reptiles chowed down, but the battle of the beasts reflects a brutal, yet necessary encounter in the animal kingdom. 22 Brilliant Views That You Must Have Seen. That’s What We Call Earthporn!